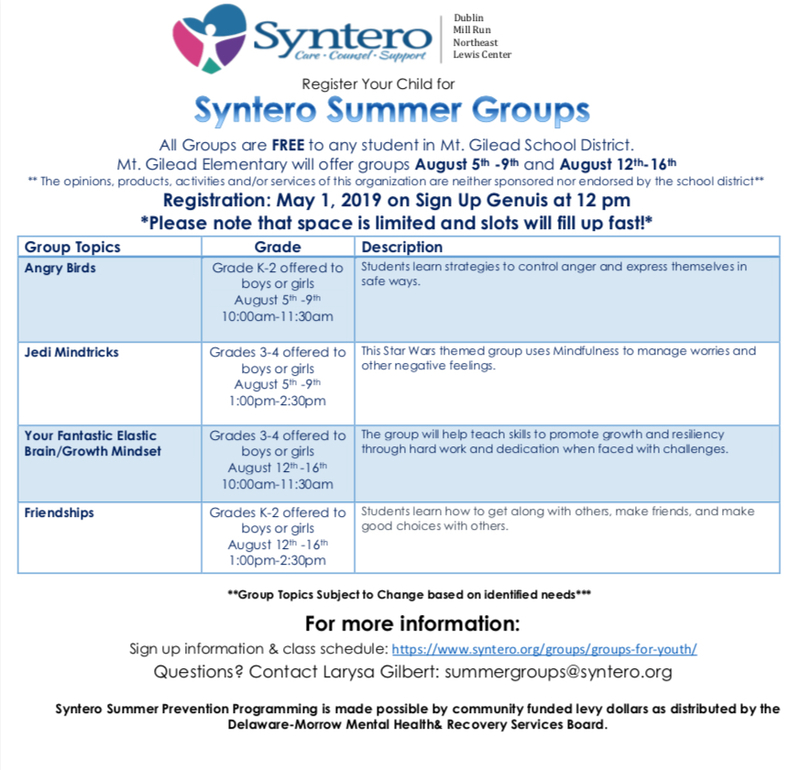 All Groups are FREE to any student in Northmor School District. 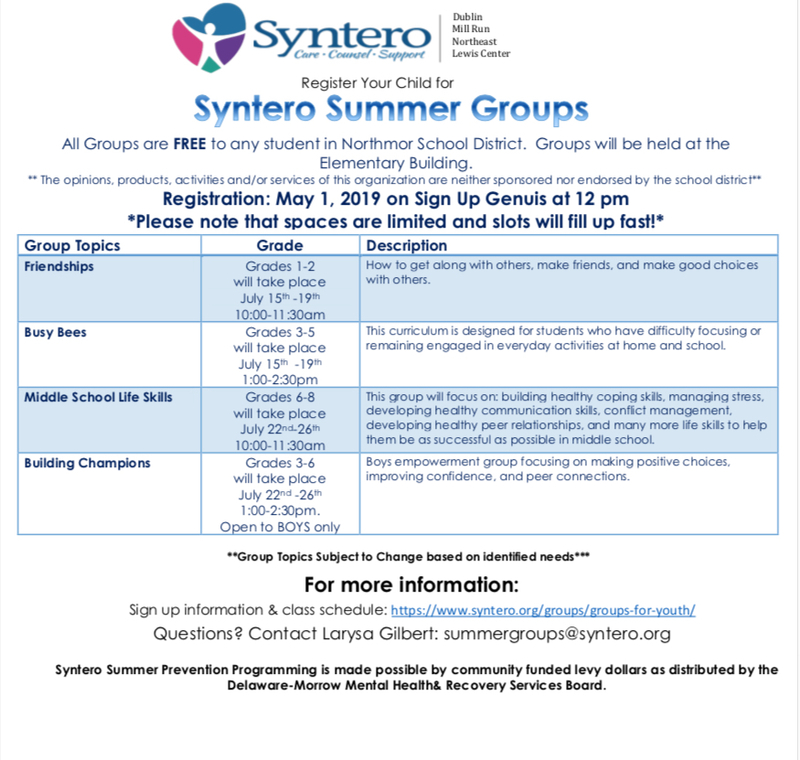 Groups will be held at the Elementary Building. Registration opens May 1, 2019 at 12 noon. Register online here. Please note: Space is limited and slots will fill up fast! Download our flyer for Northmor School District here. 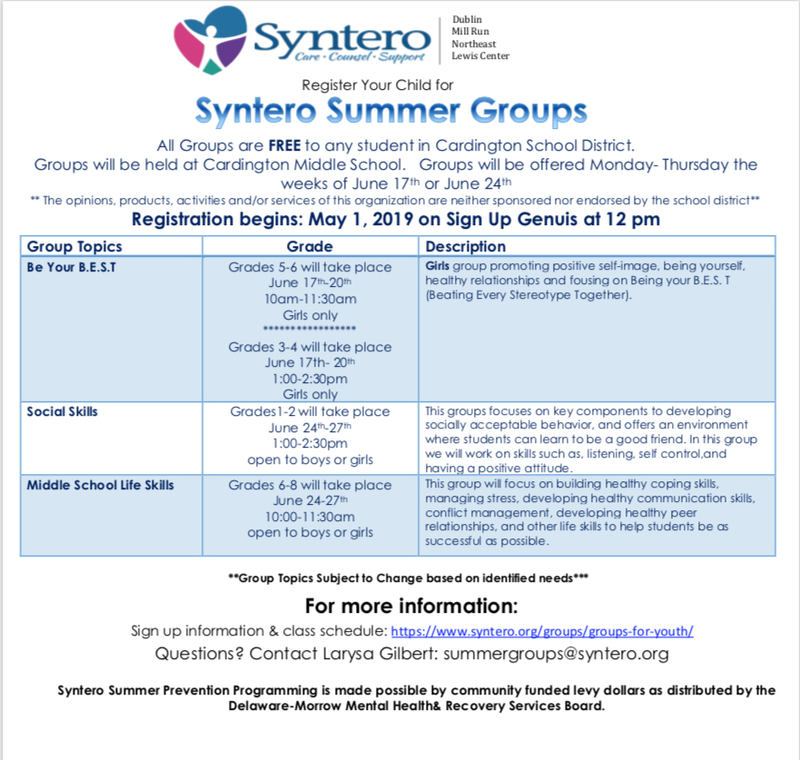 All Groups are FREE to any student in Cardington School District. Groups will be held at Cardington Middle School. Registration will open on May 1, 2019 at 12 noon. Register online here. Download our flyer for Cardington School District here. All Groups are FREE to any student in Mt. Gilead School District. Registration open on May 1, 2019 at 12 noon. Register online here. Download our flyer for the Mt. Gilead School District here. 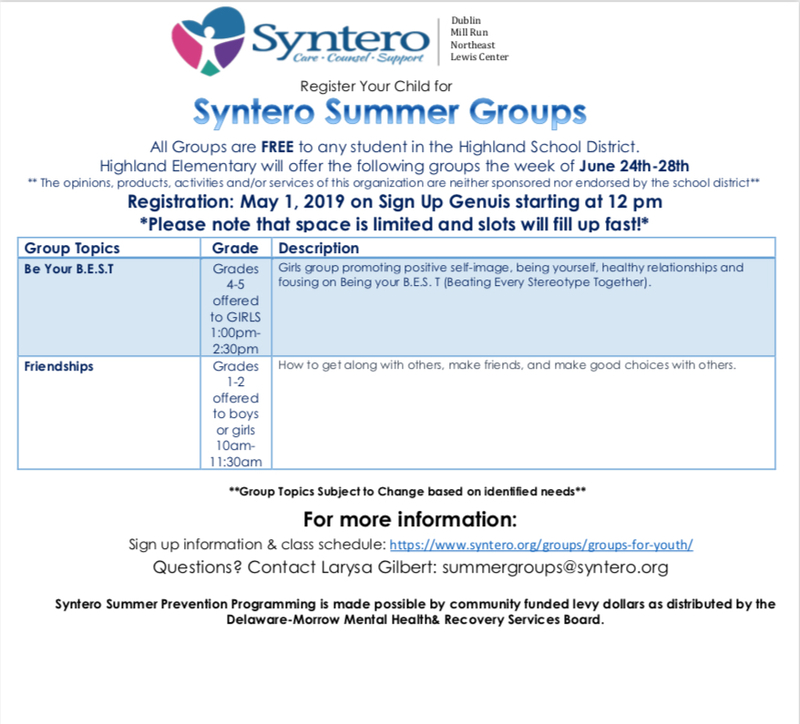 All Groups are FREE to any student in the Highland School District. Download our flyer for the Highland School District here. All Groups are FREE to any student in Dublin, Grandview, Hilliard and Upper Arlington City Schools. 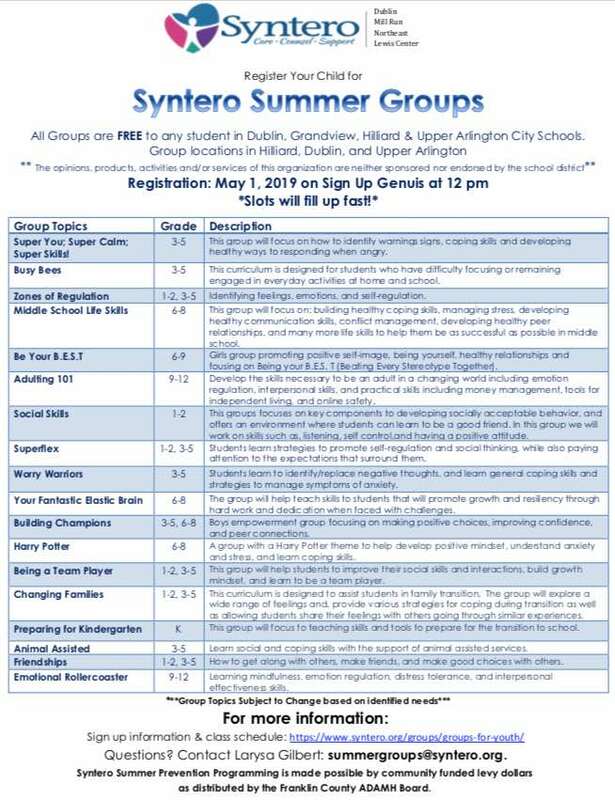 Group locations in Hilliard, Dublin and Upper Arlington. Registration opens on May 1, 2019 at 12 noon. Register online here. Please note: Spaces are limited and slots will fill up fast! Download our flyer for Franklin County here. 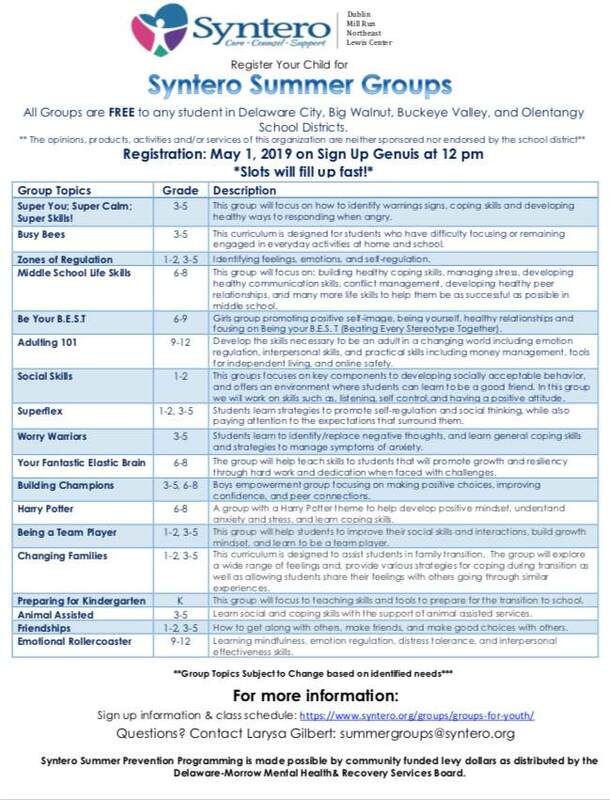 All Groups are FREE to any student in Delaware City, Big Walnut, Buckeye Valley and Olentangy School Districts.